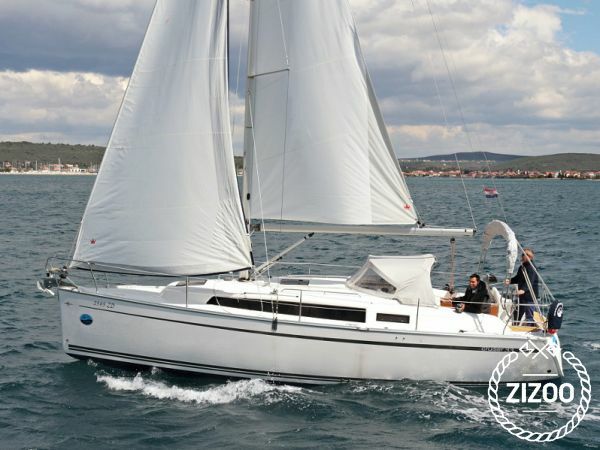 The Bavaria Cruiser 33 was built in 2013 and is a fantastic sailboat for your dream sailing holiday. With 3 cabins that accommodate 7 guests, this boat is ideal for a romantic escape or a thrilling sailing adventure with comrades. A gorgeous sailboat, she is both stylish and inviting. This boat is located in D-Marin Marina Dalmacija (Sukošan) and is the perfect vessel for sailing between secluded coves and settling in picturesque ports in Sukosan. The Bavaria Cruiser 33 is a terrific model that is a relaxing and classic choice for your next sailing holiday. The sea is calling, so book now!. Sehr preiswertes und gleichzeitig bestens ausgestattetes Boot. Sehr gute Erfahrung an Bord.